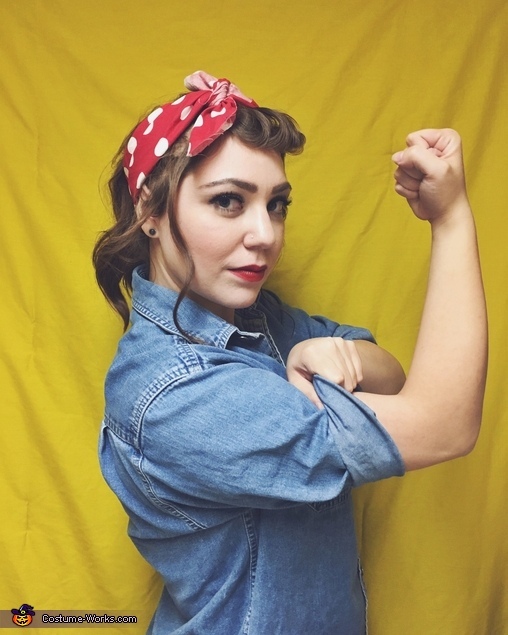 I'm a woman majoring in business and have always been drawn to Rosie the Riveter as an icon for women in the workforce. My favorite thing about this costume is that I pieced together items within my closet to form the outfit. The shirt is an old denim shirt that my mother gave me, the bandana was made from a patterned fabric that I purchased at JoAnn's craft store, and the backdrop is my conveniently all-yellow comforter!